More exposure of how O’Farrell Government plans to take ecologically sustainable development from the planning regime – and what this means for local communities. Coal dust hanging over rural hamlets, giant high-rises looming above leafy North Shore streets and ancient caves pulverised into cement mix: this may be the future under the O’Farrell government’s new planning laws, critics say. Residents who have won the ”David and Goliath” planning cases listed say they used legal principles contained in existing laws, but which could be removed under proposed government reforms. The overhaul – billed as the biggest in more than 30 years – aims to streamline the planning approval process and ensure it keeps pace with the need for new jobs and housing. But opponents say the changes erase ecological principles that have long been built into planning laws and restrict the community’s ability to fight bad decisions. In a letter to a community group reported by Fairfax Media this week, Planning Department chief Sam Haddad conceded the draft laws went ”further than the government intended” and may reduce ”judicial review rights” – the ability of the community to appeal planning decisions where the law may have been breached. 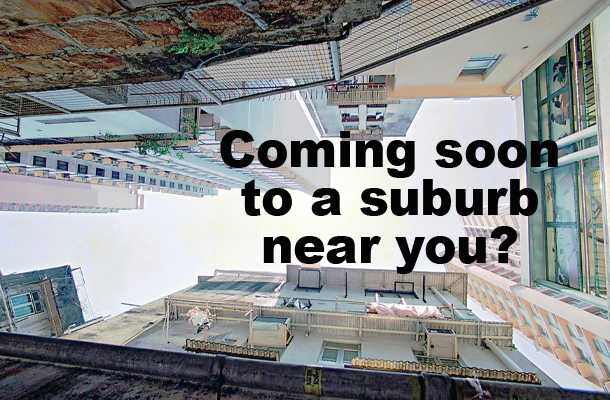 In 2011, the Ku-ring-gai residents group Friends of Turramurra used judicial review rights to defeat a decision to allow high-rise buildings in six suburbs. A resident involved in the case, Kathy Cowley, said this week that had the case not been won, then ”we would see taller buildings … and reduced protection of heritage and the environment”. The draft laws replace the concept of ”ecologically sustainable development” with ”sustainable development”, which the department says focuses more broadly on social outcomes. But absent from the fine print are long-standing precepts such as the ”precautionary principle”, which dictates that decision-makers should be cautious in cases where the environmental effects of a development are unknown. Greens MP David Shoebridge said that such principles must be explicitly included in the new laws. ”For any court or consent authority to give teeth to ecologically sustainable development, it needs that legislative backing,” he said. They include a court ruling in April this year which stopped Rio Tinto expanding an open cut coalmine near the tiny NSW town of Bulga. An appeal was heard this week. In a 2010 judgment, Hunter Valley residents used the precautionary principle to argue that a proposed limestone quarry near Scone would impact significant caves, plants and animals. The quarry proceeded with strict conditions attached. Urban Taskforce chief executive Chris Johnson, whose organisation lobbies for the development industry, agreed the bill lacked clarity on ecologically sustainable development, which he said should be a ”major objective” of the new laws. ”I think it could be clearer and on behalf of the broader community, it’s not a bad idea to do that,” he said. Planning Minister Brad Hazzard said the issue of judicial review rights is being examined. The government is considering community feedback and will amend the draft laws ”if appropriate”, he said, criticising those who ”slam-dunk their views over other viewpoints by making alarmist assertions”.